Yet another quickie. Perhaps the old quickie is the new normal? Getting sidetracked now … but … von Peter himself deplores what appears to be the endless dumbing down of ‘things’ in the world. Be it documentaries on the television or – Gawd forbid – wargames rules. M-u-s-t s-u-p-p-r-e-s-s a-n i-m-p-e-n-d-i-n-g r-a-n-t-! M-u-t-t-e-r m-u-t-t-e-r m-u-t-t-e-r!! This is a prior warning that we’ll be increasing the metal codes by 50p on April 2nd (we didn’t want to make it April 1st as customers might think it was a joke!). So if your thinking of buying get those orders in pronto to save some money! 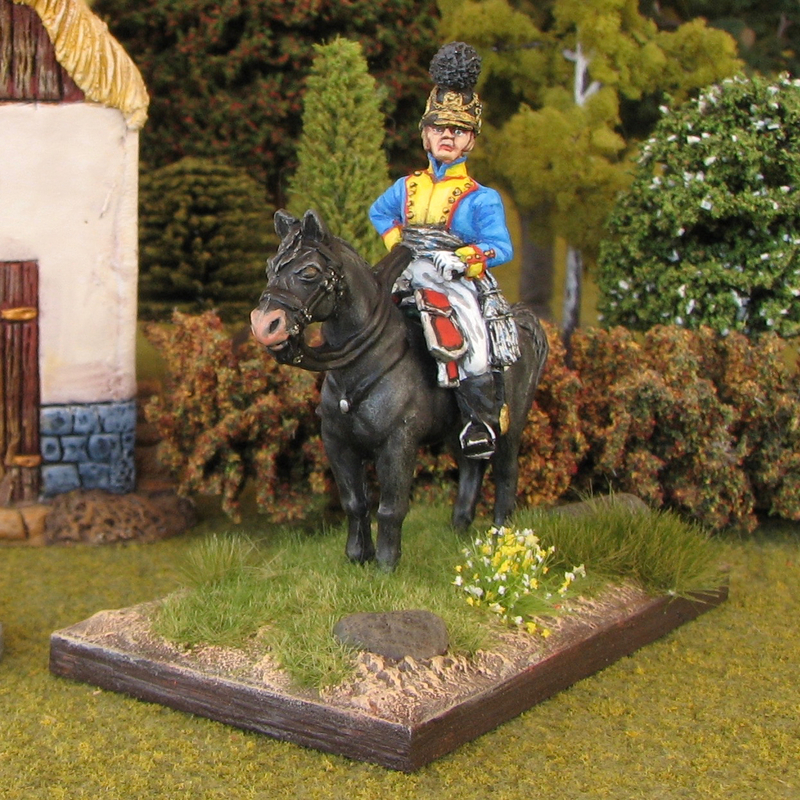 For Salute this year we will be releasing the plastic set of French Napoleonic Line Chasseurs a Cheval 1808-15. In a week or so we should have the first shots of them to show you, but for now here’s the cover art by Peter Dennis and a few of the illustrations for the colour guide by Alan. The box will contain 14 mounted figures. Four uniform variants will be included in the box; campaign and full dress for 1808-12 and campaign and full dress for 1812-15. During this period the coat changed from the single breasted Kinski coat to the lapelled Spencer coat around 1812 although the latter probably took a while to replace the former. Both types are presented in this set, along with elite company uniforms. 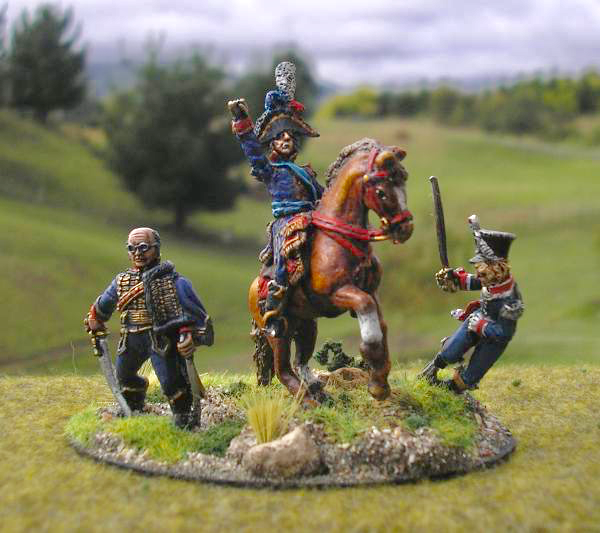 The figures in the Kinski coat can also be used as Hussars in campaign dress. And let’s face it Dear readers – the Chasseur a Cheval regiments were a fairly common type of cavalry in the French Army. Far more ubiquitous than your cuirassiers, carabiniers a cheval or Dutch Lancers! Fraulien von Peter herself had the good sense to go out for most of a Saturday and left von Peter himself with a few free hours to himself … once he’d walked dogs etc. Time for a photo shoot session. The current efforts to document the in-house Napoleonic armies over on vonpeterhimself.com had revealed a paucity of suitable photos for some units and this was a chance to right some of those wrongs. The Napoleonic Austrian and Prussian pages have been the major beneficiaries but the Russians weren’t totally forgotten as a sub par photo was replaced with two new images. Click the image for a larger and clearer view. The TooFatLardies have released Episode Seven of the TwoFatLardies Oddcast podcast. It can be got here. BTW, von Peter himself announces the new episodes of the TwoFatLardies Oddcast because unlike all the other podcasts he listens to this one does not automatically download new episodes onto his computer … and hence several other listening devices. Probably more accurately von Peter himself has not yet figured out how to get the new episodes to download automatically onto his computer! The problem is possibly that locally iTunes is used to deliver blogs and the Lardies have not seen fit to load their Oddcast on to iTunes. So von Peter himself notes the new episodes here as a service to The dear readers just in case they are “in the same boat”. No guarantees on the service however. Hmm. It looks like von Peter himself has started and ended with a rant! Enough. Another quickie … but with oomph! And the oomph comes out of Calpe Towers. 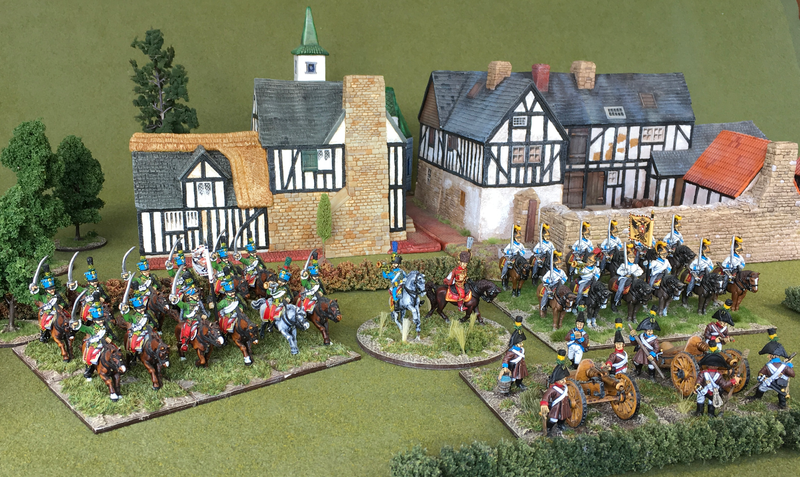 There has been an update to the Calpe Miniatures website. Hurrah! S60, Saxon Jaeger coy. Six figures in skirmish poses. The website has been updated with the new Saxon codes. These codes mark the completion of the Saxon musketeers and the start of the light infantry codes. S60, the jaeger company, is the first of the light infantry codes. The figures for the two light infantry regiments will form most of the next release – initially in firing line poses and then in march-attack and advancing poses. I’m not sure how I am going to organise the packs for these, as there were only four light infantry battalions. Fewer variations are required, so I’ll have to give some thought to how I structure these sets of figures. I am also working on the figures for the Saxon foot artillery. I will release these when I feel that I have completed enough figures. Although I cannot give you a release date, rest assured that the foot artillery gunners will be released some time this year. I will tackle the horse artillery when I deal with the Saxon cavalry. I have the Limbers and caissons ready but need the horses and drivers to go with them. I have also come across some new information recently that may require additions to this range of equipment pieces. I have had a large number of inquiries about additions to the French ranges. I really enjoy sculpting these and they sell very well so more figures will be forthcoming. I am, however, going to concentrate on the Saxons for the next few months in an effort to complete this army. I felt that alternating between Saxons, French and Prussians was just drawing all three out with nothing being completed to my satisfaction. I am going back to my original way of working and hope to finish the Saxons this year before returning to the French. I have added information on the Jaegers, Headquarters set (S52) and some thoughts on Saxon skirmishers to the “Guides and Research” section of the website. An important piece of information I need to draw your attention to is that I will no longer personally accept card details for payment. All payments now have to go through the website or agencies such as Paypal or Sage. The reason for this is that the security protocols for card payments are so stringent now, that the old fashioned way of taking your card number by phone or receiving it by email is frowned upon. I have recently given up my card machine, as it was no longer paying for itself. Last year I put less than ten payments through the machine. Paypal and Sage Pay now process almost all of the payments made to Calpe. The fact that I do not handle sensitive card data means that the vetting procedure I have to undergo each year to continue trading has become straightforward. **COMING SOON** Last of all, you will see that there is a new section in the website – “Items for Sale.” I mentioned this in my previous update but was overtaken by events and had to leave it for this update. This new section is experimental and I am not entirely sure how it is going to work. My intention is to fine-tune it as we go along. Any comments are welcome. As always thank you for your support and very belated good wishes for a not so New Year. It’s all good news for this self confessed Calpe zealot. 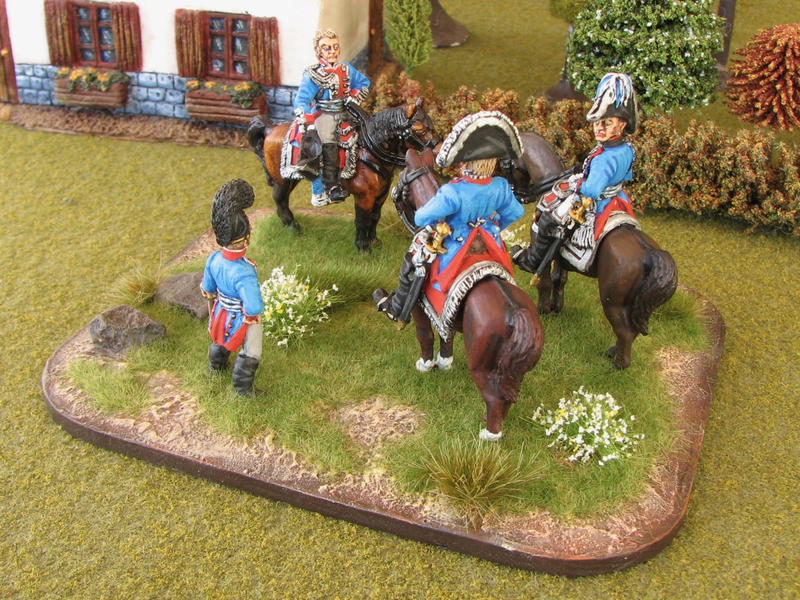 Images “borrowed” from the Calpe Miniatures website. Eleven minutes and seventeen seconds of The BigRedBat Simon Miller discussing his upcoming rule set for the English Civil War For King and Parliament which are based on his To the Strongest! ancients rules. Also plenty of footage of his ECW armies which would be the envy of many gamers. Damn that man! 😃 Although one must give him credit for sitting down in front of the camera. The TooFatLardies have released Episode Six of the TwoFatLardies Oddcast podcast. If you’re keen you can get it here or listen to it directly from here. As a self serving advertorial von Peter himself would like to remind The dear readers that the vonpeterhimself.com website – as opposed to this here blog – is still sporadically developing. The recent big advance has been the opening of the Links section with new links being added every few days. The Army Inspection section is also twiddled with on occasion. Look what happens when one blows off the dust and one looks back through the ancient records. What was meant to be a quick paragraph has turned into a full blown post. Sacre bleu! The Friday Night Fusiliers was – and still is albeit currently hibernating – a forum based in Yahoo Groups – all the rage back then – and by 2007 had been humming along successfully for several years. 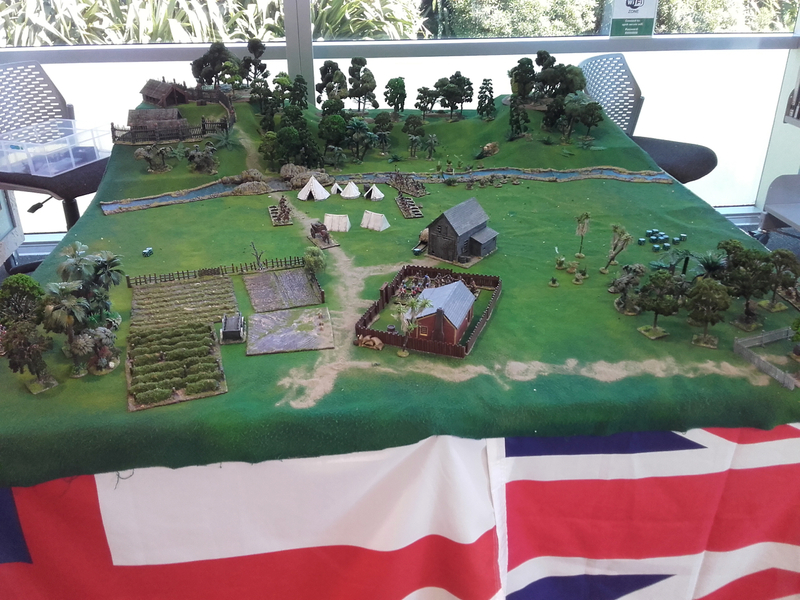 Initially based around a few gamers in the Wellington region of New Zealand it had morphed into a happy and vibrant grouping of international wargamers with actively contributing members in the UK, US, Australia, continental Europe and who knows where else. Non competitive, aesthetically pleasing and comradely collecting and gaming were the guiding principles. Horse & musket gaming predominated. Members were referred to as The Fusiliers. 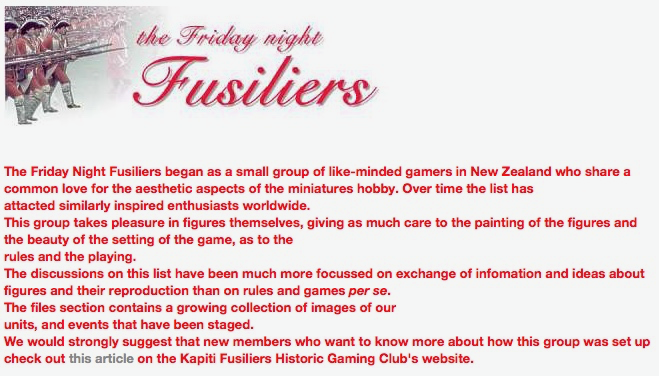 Somewhat contemporaneously there was a “Kapiti Fusiliers” website which Roly maintained with some input from various Fusiliers but mostly generated by Roly himself. The following proposal is being submitted on behalf of your fusiliers, who wish to create our battalion/regiment in miniature. As we have both the esprit de corps and painting skills to produce a fine replication, it is proposed that the Fusiliers will create a miniature battalion/regiment of themselves – to be used in Napoleonic wargames, and designated as “The Kapiti Fusiliers” (replacing an historical battalion/regiment). – Several members have already indicated their willingness to paint. It is suggested that each purchase 5-6 of the new Perry French to re-create a company, and paint them to depict the French army during “The 100 Days”. – It is suggested that each painter have liberty in style, to show unique authorship for each company. – A company shall consist of 100-120 men (5-6 figs on a 1:20 scale). – All figures should be completed by the end of October, and for the outposts, mailed to a TBD depot. creating terrain, and providing a permanent display setting. – Our general shall assign who will paint the officers and/or casualties. Various lunatics now thought this to be a grand idea and before any sane person could intervene further refinements to the build had been made – the companies were reduced to around four figures each in line with the common build amongst the New Zealand Fusiliers – and figures were being bought and painted. In the end Front Rank Figurines were the most used figure manufacturer. Subscriptions to the idea were so popular that two battalions were eventually created though it should be noted that a few particularly “ill” Fusiliers contributed two companies. Completed companies were sent to Roly who based them and is the guardian of the creation to this day. The 28mm Kapiti Fusiliers even get out to fight occasionally. It was an immense surprise to von Peter himself when he found himself contributing a company to the build. von Peter himself can hardly paint any of his own figures let alone paint figures to just give away! The contribution was the second fusilier company for the first battalion thereby sporting striking sky blue pompons. A less regimented look was desired showing something a little different so a fusilier in greatcoat, a fusilier with covered shako, a fusilier taking a sip from his canteen and a fusilier advancing head turned to look at the aforementioned drinking fusilier were ordered. All were in campaign dress as opposed to full or parade dress. A little surprisingly they were the first Napoleonic French infantry that von Peter himself had painted. Ever! Above: The Fusilier ADC Peter figure was based as part of the International Kapiti Fusiliers command base along with the mounted Fusilier General Sir! and the falling – hopefully just slipped in a cow pat! – Fusilier ADC Eric figure. Photo care of Roly. Above: The standard of the International / Kapiti Fusiliers with two honours. Both honours were won in battles fought in a campaign played in 2007. “Segensburg” was earned for victory over a Russian battalion and “Biburg” for taking and holding the town of Biburg in the battle of the same name. Nice artwork Roly. The Friday Night Fusiliers Yahoo Group still exists but has been dormant for several years now. RIP. Although it is effectively consigned to the annals of history von Peter himself owes it a debt of gratitude as he has made several good friends around the world due to the bonds forged when we were The Fusiliers. 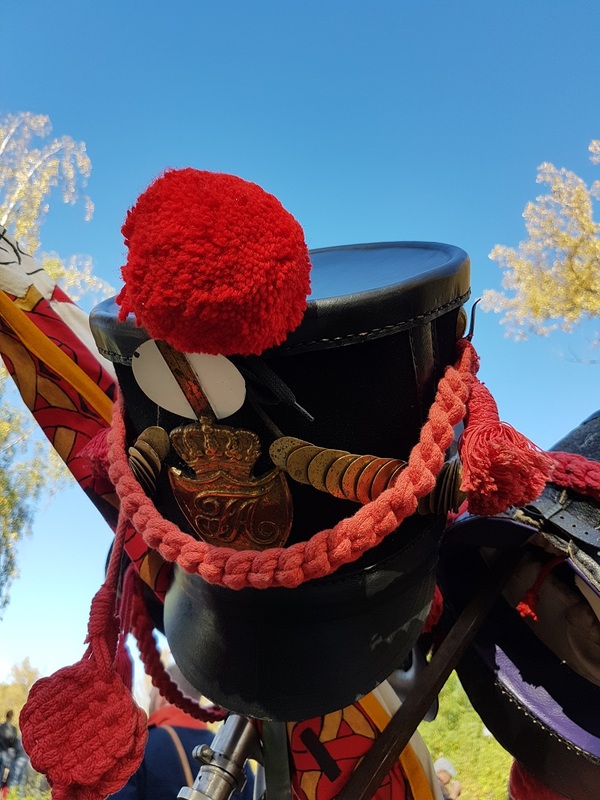 The increased popularity of personal blogs over the last year or two has resulted in the Kapiti Fusiliers website not being updated for some time. As we’re paying for a domain name for a site that we no longer keep up, we’ve decided to let it lapse. This means that from a week or two’s time, any links to the Fusiliers website will no longer work. The site itself will still continue exist, but not under this domain name (I’ll find out what the actual host name is, and post it here soon). Even though it will no longer maintained, the site is still a valuable repository of many inspiring articles and photos. And although it was given another year or two of life thanks to various Fusiliers – including the normally parsimonious von Peter himself – donating the required money the end eventually came. Many thanks to Roly for supplying photos and other details that needed dredging up from the archives and our poor old human memory banks! The above has mostly been generated by a steadily degenerating brain. If it needs any correcting then please let the author know. Just in case you’re interested the TooFatLardies have released Episode Five of the TwoFatLardies Oddcast. Get it here or if you’re a YouTuber here. “The Army of Portugal 1793-1814” is the latest e-book release from the The History Book Man. This popular title was originally published in 1974 and has been out of print since 1982. This new revised and enlarged e-book edition now includes the Portuguese army from 1793-1807 and is illustrated with all new colour artwork and illustrations by well known authoritive and contemporary artists. 235 pages of historical background, organisational detail and the all important uniform information backed up with many colour illustrations. And all for a measly £3.99. What could possibly go wrong for Peninsular gamers? Yes von Peter himself is a History Bookman fan. Front Rank Figurines will provide the Poles as to the eyes of von Peter himself their figures fit in best with his stocks of mostly Front Rank (surprise!) and Calpe Miniatures. The Poles are a later creation in the Front Rank Catalogue so they come with some variants within the more common product codes and suffer less from the portly figure syndrome of their early ranges. Normally the beginnings of a new nation would be marked with a stock standard bread and butter line infantry battalion. 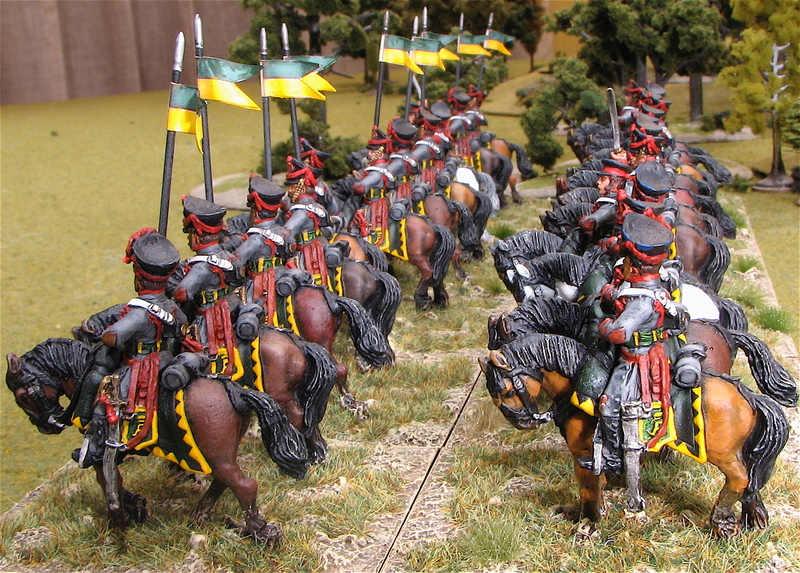 But a survey of the local forces of the petite Emperor reveals a distinct lack off cavalry so it is the 2nd Uhlan Regiment that will lead off for the Polish contingent. Multi pose lance arms have been attached to uhlan bodies. Lances have been created from brass rod and attached in hands and where possible at least one other point on the uhlan for that extra strength. A Polish Eagle has even been presented. Troops need a commander and so General de Brigade Krukowiecki – commander of the 18th Light Cavalry Brigade – his appropriated trumpeter and his trusty Aide de camp have also been prepared for pigmenting. The lot of them minus the horses will soon be winging their way to Nigel. Above: The Polish 2nd Uhlans preceded by their brigade command all in their silvery glory. The men ready themselves for transportation and subsequent pigmentation. The poor horses are to remain at Neu Schloss von Peter for their pigmentation. Roly fighting in the library – sssh! Above: an overview of what is thought to be the second game of the day. The chaps in red seem to be getting the worst of it! Much more to be seen over on Roly’s blog. Some interesting pictures from the 2017 reenactment of the 1813 Leipzig battle can be found here. A plethora of photos and short videos. And fun aplenty playing spot – or guess! – the units represented by the reenactors. The TooFatLardies have released episode two off their TooFatLardies Oddcast. The not very tightly held secret project of an impending fantasy skirmish game based on a TooFatLardies set of rules has been partially outed in the Meeples and Miniatures podcast episode 233 – Oppy Wood. 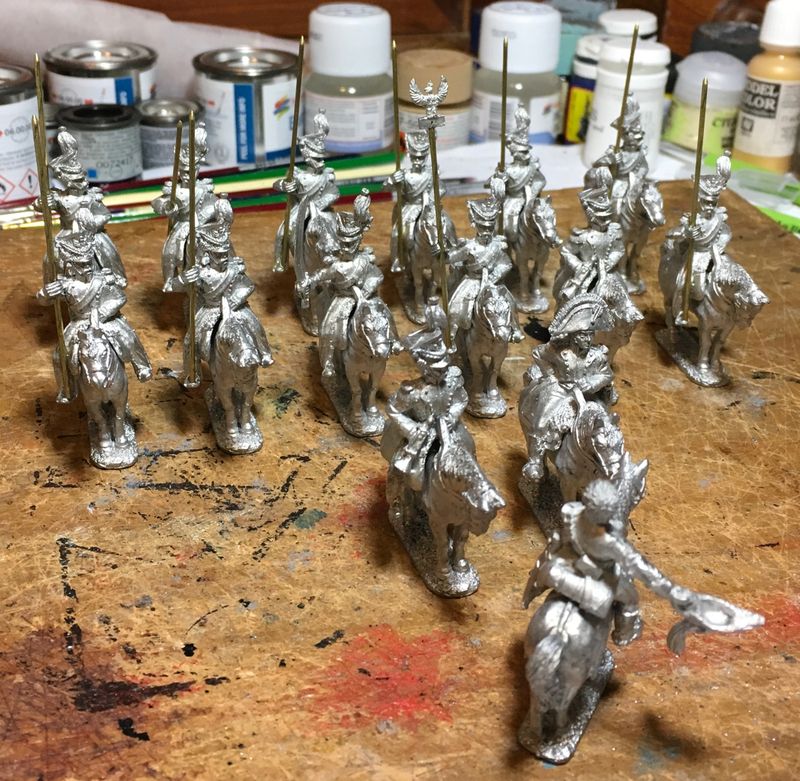 Despite the distractions related at the end of this post von Peter himself has managed to complete the transfer of some figures from the “unpigmented figures in reserve” pile to the “play a game so you can use me” pile. In the Order of Battle von Peter himself is using to build his 1813 Napoleonic armies Generallieutenant Raglovich commands the 29th (Bavarian) Division in the XII Corps of the French Army. This is pre the Bavarians seeng the light … or did they see the writing on the wall? … and aligned themselves with the Allies against the French. From the 29th (Bavarian) Division the brigade of Generalmajor Beckers is almost completely recreated for von Peter himself. A single battalion to go. There is also the Kronprinz Chevauleger which was a corps asset in the same corps as the 29th (Bavarian) Division. The son & heir has painted a battalion from the brigade of Generalmajor Maillot also of the 29th (Bavarian) Division but is unlikely to paint more. The figures for more are domiciled unpigmented at New Schloss von Peter so the Bavarians will likely grow further in the future. At some time undetermined in the future that is as there are other units that out rank them in the painting queue. Whatever he may eventually command Generallieutenant Raglovich has arrived to command all Bavarian formations either as an intermediary commander in those larger games or as the CinC when the Bavarians are operating alone. 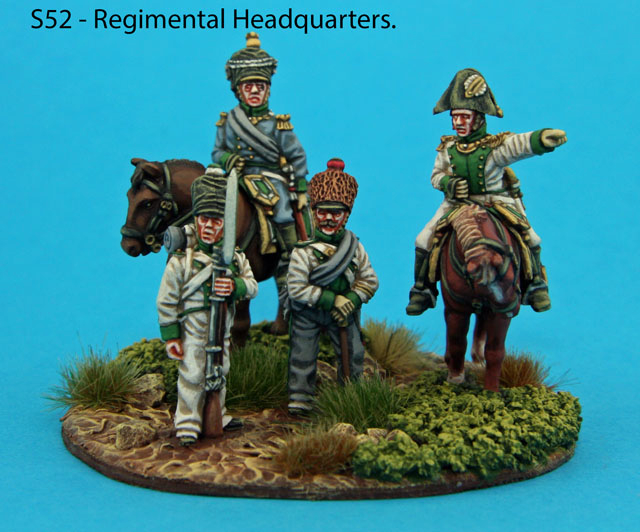 Because Generallieutenant Raglovich is the CinC for a nation in von Peter’s basing regime he gets a rectangular base rather than the round base of lesser commanders. The narrative is that the good Generallieutenant Raglovich is receiving a report from an Aide de Camp who is doffing his hat in respect. A staff officer accompanies the Generallieutenant and is keenly observing his reaction to the report. An officer on foot listens in wondering what the report means for his battalion. And then we have the chap below. Shall we call him Wilhem? When von Peter himself originally selected the figures for the Bavarian CinC stand Wilhelm was included. Then the time finally came to organise and attach them to the base and it became clear that this mounted figure was a mounted figure too far. So it came to pass that Kapitän(?) Wilhelm was allocated to a base all of his own. As such he can act as an ADC, decoration or as a leader in Sharp Practice games. Above: Kapitän(?) Wilhelm. Embarrassingly von Peter himself has left a mould line on the poor horses face. Bad von Peter himself! horse painting, figure selection, figure choreography and basing by von Peter himself. Another figure from Front Rank Figurines has rolled off the production lines. 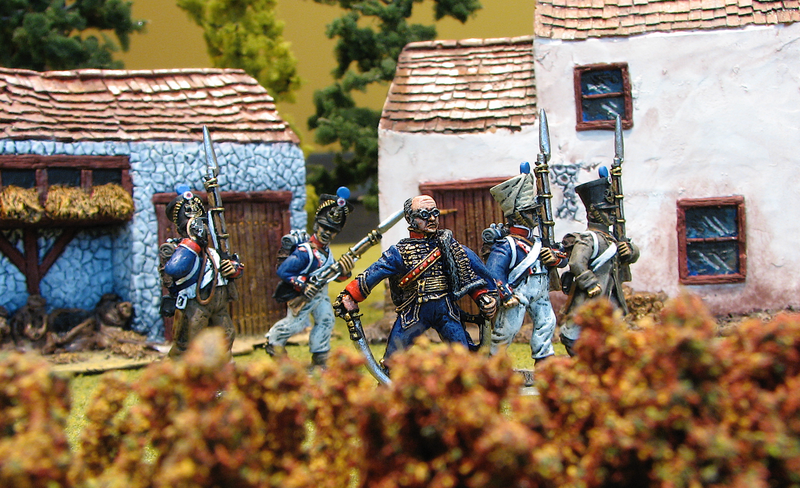 This time a civilian from the Napoleonic Civilians pack CNPK4. By pure chance she wears a blue similar to the Bavarians above but it is nothing more than a coincidence. The problem with the textured plastic bases was that the base of the miniature figure would sit proud on top of it. One could get all creative with several solutions but von Peter himself took the idle approach – of course! – and just glued the figure on to the base. It really isn’t that noticeable in real life. Filing down the figures base wouldn’t be such a bad idea though. The current plan is to always have a civilian figure ‘on the go’ on the painting desk so one will pop out every now and then. They will be useful as decoration in the larger scaled games and even more so in Sharp Practice games where they are also at risk of becoming part of the scenario. a physical rulebook running to 108 pages in length, two A4 laminated playsheets and a ‘free’ pdf copy of the rules. At £24.00 this saves the purchaser £16 off list price. as per the above but with the addition of two sets of Game Tokens in ‘vibrant” – whatever vibrant means! – MDF for £32.00. A saving of £18. The pdfs will be emailed on 21 May 2017 because that’s when the rules will be released. von Peter himself is familiar with the name Adrian Goldsworthy as the author of non fiction books on the Roman army. But apparently he has written books of a fictional nature as well on topics other than the Roman army. Who would have thought! Episode 6 of the Wargames, Soldiers & Strategy podcast is entitled “Bootleg Goldsworthy” as part of the show is a recording of a presentation given by Mr Goldsworthy at a wargames convention. The presentation ranges over various topics including ancient warfare and the war game rules that try to recreate it. Worth a listen. Get yourself a copy from from iTunes or here … or possibly some other feed! Way back when Apple stopped supporting its website building software iWeb von Peter himself called time on his original combined website & blog as the proverbial writing was on the proverbial wall. The cunning plan was to replace it with this blog and a new traditional website at http://vonpeterhimself.com. The blog thing worked out just fine. At least von Peter himself is of that opinion. Your milage may vary! The second version of the website not so much. It never really progressed anywhere. But that is changing as a third version is being created. von Peter himself has come over all enthusiastic and finds himself tempted away from the painting desk to “play” with a new website. This activity is for now a challenging yet agreeably enjoyable pastime. Unfortunately this comes at the cost of time at the painting desk. Just when a routine of regular painting had been bedded in too. D’oh! More on this should the plans achieve anything worthy of notification. A few miscellaneous unrelated random topics after the ego soothing picture of mostly someone else’s hard labours. Above: “the Russian Elizabethgrad Hussar Regiment will form in 2 lines, lance armed troopers to the front as you full well know.” The Russian commands translated to English and sanitised(!) for the benefit of The dear readers. 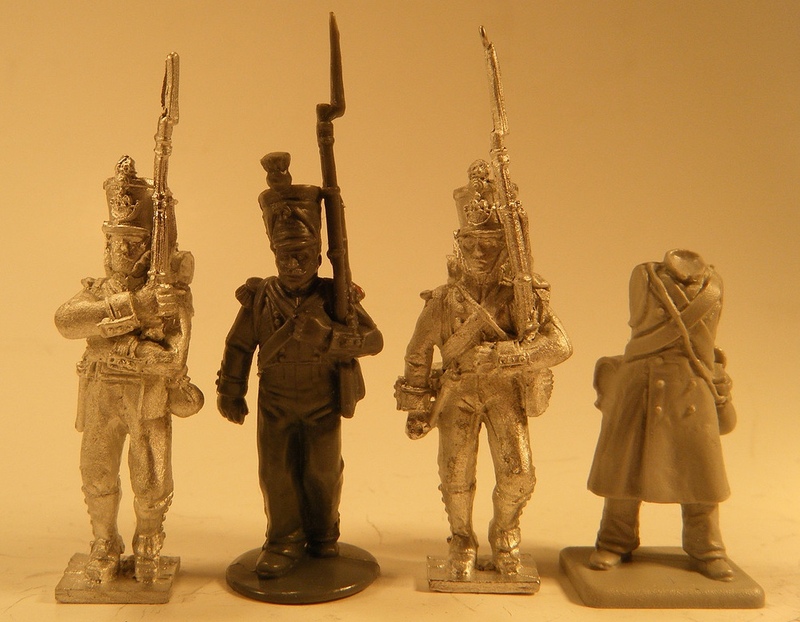 Wargames Foundry Russian Hussars as sculpted by the Perrys. Pigments applied by Greater Queeg. von Peter himself has stumbled across another blog which he has added to his playlist. The good people at Karwansaray Publishers who bring you the Medieval Warfare magazine now bring you the Medieval Warfare blog. You can obtain your very own copy from here or iTunes or who knows from where else. 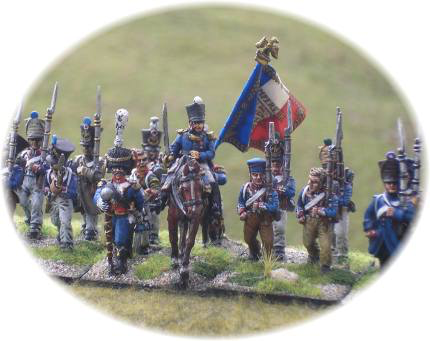 Three Armies is a 28mm Napoleonic miniatures Online Store. I have worked in the gaming industry for over 20 years. Initially with SHQ miniatures but more recently with Wargames Foundry and several new manufacturers as a sculptor. I am currently a one man band. I use the facilities of Sgts Mess for moulding and casting. We plan slowly to cover most of the Napoleonic wars. We have no interests in other periods. Our initial plan is to compliment the many plastic miniatures ranges in 28mm with poses and uniforms that are not offered by them. British – expected to be released April 2017. Being new on the scene the Three Armies ranges are currently limited. Rome was not built in a day as some wise person* once said. As yet there are no horses in the range so comment on these cannot yet be passed. Spot checks reveal that price range from £1.20 for a single figure through to £6.00 for a six figure pack through to £20.00 for a 24 figure battalion pack. the headless figure at the extreme right is a Victrix plastic. Finally more images borrowed from Three Armies website. von Peter himself hopes Three Armies don’t mind being pillaged in such a manner! But there’s more! The same person – Michael Percy? – also offers commissions. Or at least did offer commissions. Perhaps the birth of Three Armies has curtailed this service. Whatever have a look at at the Saxon Zastrow and Guard du Corps 1812 commission on the Snodland Miniatures Facebook page for a completed commission. There are others conversions. 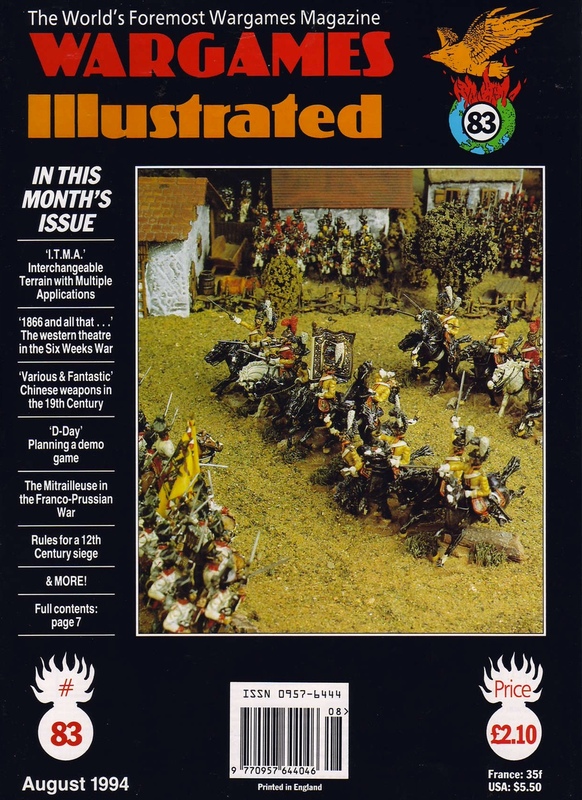 If you are of a certain age and used to read the glossy wargames magazines or if you just read some of the older glaossy wargaming magazines you will be familiar with the name Doug Mason. He was often associated with Peter Guilder and the Wargames Holiday Centre and his fame was due to his often converted figures. “Front cover photo: Saxon Garde du Corps painted by Doug Mason for the Wargames Holiday Centre”. It transpires that Doug Mason has a website in which some mighty fine craftsmanship and nostalgia is on display. That von Peter himself is aware of Doug’s site is down Carlo of With Pyjamas through the Desert and With Pyjamas through a whiff of grapeshot! notoriety. Carlo had commissioned a blast from the past recreation of a “Murat at Eylau” command vignette. A typically flambouyant Murat leading a charge accompanied by a dragoon officer aid. The original vignette dates from 1984. You can see Carlo’s “Murat at Eylau” reports here and here. 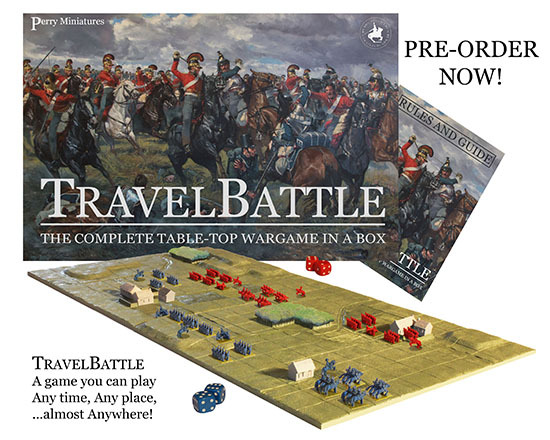 The two terrain boards are designed to be placed together on any edge, giving the potential for 16 different battlefields. The 1″ grid marked on the boards excludes the need for rulers to be used in the game. All for the price of £50.00. Apparently if all goes well there may be more boards, figures and presumably terrain to come. To the mind of von Peter himself it’s a shame that the miniatures are a non standard 8mm. Apparently 6mm was too small and 10mm too big. Being somewhat bitter and twisted one cannot but be a little cynical that not fitting with any other figure ranges might be seen as an advantage to the manufacturers. Then again a range being given the descriptor of 6mm, 10mm 15mm, 28mm etc hardly seems to ensure that they will match the size of other ranges with that same desriptor. So perhaps there are large 6mm ranges or small 10mm ranges that will be close enough to the Perry’s 8mm. von Peter himself will be watching with interest to see how TravelBattle is received by the buying public and whether it gets expanded.